It does, doesn't it? I should have put something in the photo for scale. The box is only about five inches in diameter, and what you're looking at is actually both lunch and breakfast. 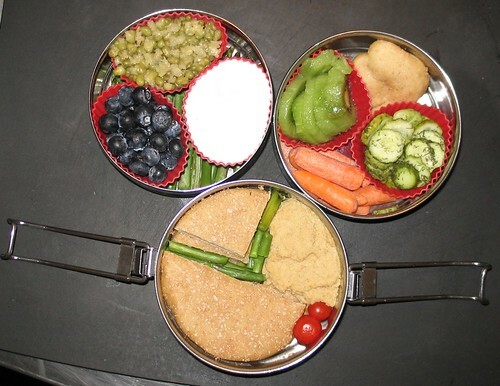 But definitely, filling the tiffin in the stuffed-to-the-gills manner of the bento box would result in a meal for two. I'm re-watching S4 of Buffy, and last night I watched the Halloween episode centering around a small woodcut of a demon...with the caption "actual size."